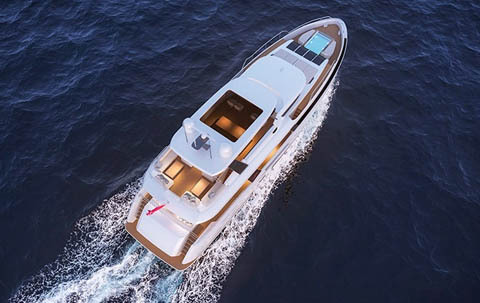 The dipping pool on the foredeck is worthy of note, with private access for the owner directly from his suite; in this area the owner may opt instead for a spacious sunbathing area with breakfast table. 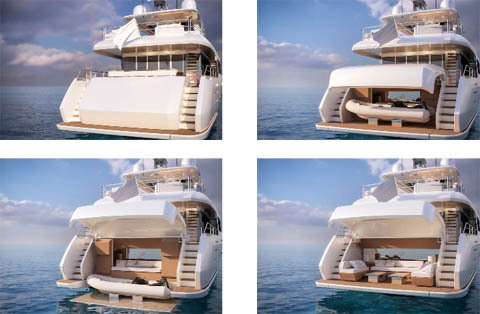 The flybridge is almost completely protected by a retractable hardtop. 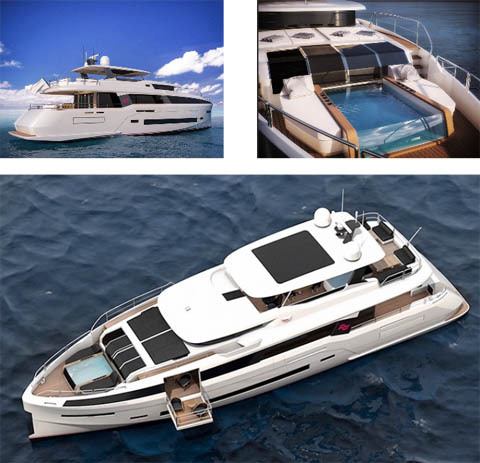 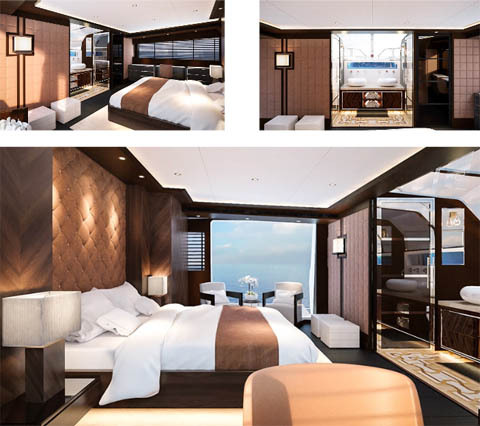 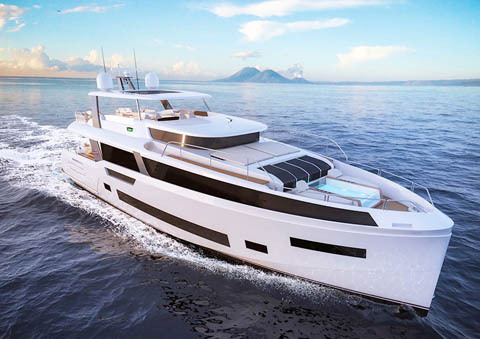 Here we have a helm position, a table that seats up to ten guests, a fully equipped bar and galley and a spacious relaxation area astern, with settees that convert into sun-bathing platform..